If you’ve made it through the summer months without your curls becoming a giant ball of frizz, you’re clearly some kind of curly girl unicorn. For most of us, the warm, humid summer months mean a constant battle between frizz and achieving the smooth, well defined curls of our dreams. As summer transitions into fall, the cooler air, hats and scarves can also lead to frizz. To avoid the dreaded frizz, here are some amazing products you can use to help keep your curls under control. For drying: Frizz free curls begin right out of the shower. If you’re still using a terry cloth towel to rub your curls dry, ditch it now and pick up a DevaCurl DevaTowel. Use this microfiber towel to squeeze or blot your curls instead of roughing them up. 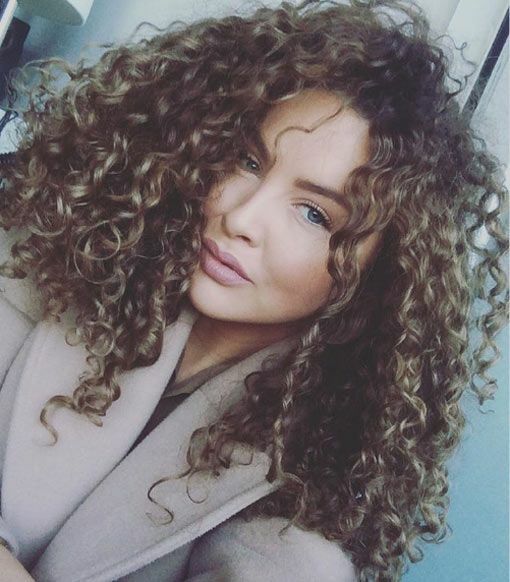 For hydration: In order to keep curls from developing frizz, you need to make sure they’re well moisturized. Pick up Moroccanoil Intense Hydrating Mask for use when your curls need an extra boost of moisture. One of the great things about this luxurious mask is that it doesn’t need heat to be effective, and works its magic in under 10 minutes. The Morroccan oil will help sooth dry, distressed curls and seal your cuticle back down. For prevention: Every curly girl has a handful of their ride or die curl care products. If you’re not already using some of these, consider adding them to your curl care toolkit. Bumble and Bumble Hairdressers Invisible Primer. This oil is a great product to start with as it’s light and won’t weigh down delicate strands. It softens up curls, detangles and helps manage frizz by locking down the cuticle. If you use heat to style your curls, whether it’s a diffuser or a curling iron to add in a few more ringlets, you’re going to want to pick up Matrix Total Results Mega Sleek Iron Smoother to help curls stay frizz free and protected from heat. When you need something that’ll keep your curls under control, help them be more manageable and will minimize frizz, reach for L'Oreal Paris hair Expertise Supersleek Anti-Frizz. This product works its magic free of silicones and sulphates, which makes it safe for your delicate strands. The sunflower oil will help nourish and strengthen curls, which ultimately leads to less frizz to deal with.